He’s ba-ack! New “Prufrock” pages coming soon! 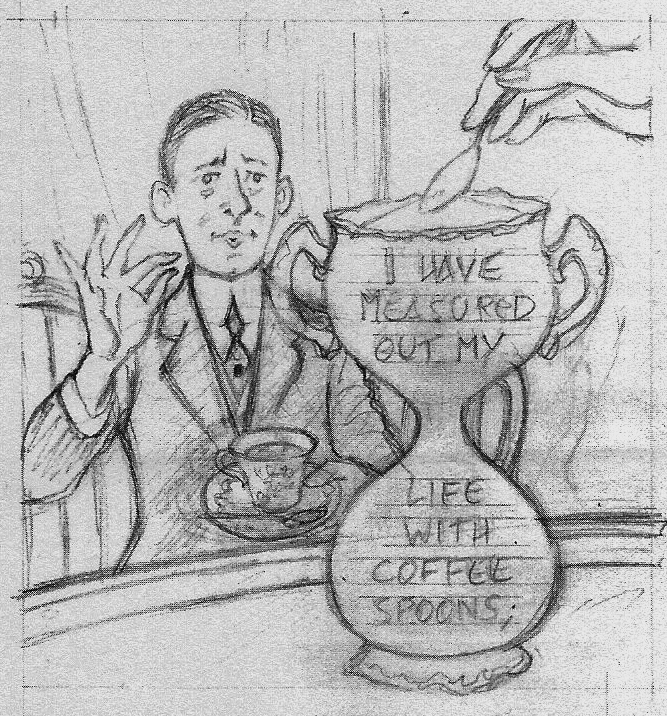 I’m pleased to announce that I am now putting the finishing touches on the pencil versions of 4 new pages of my adaptation of T. S. Eliot’s “The Love Song of J. Alfred Prufrock,” and am about to begin inking. This upcoming section begins with the stanza containing the immortal lines “I have measured out my life with coffee spoons” and ends with Prufrock’s envisioning of himself as “a pair of ragged claws scuttling across the floors of silent seas.” Stay tuned! This entry was posted in "The Love Song of J. Alfred Prufrock" by T.S. Eliot, comic book poetry, comics, Poetry Comics and tagged coffee spoons, grammophone, hourglass, J. Alfred Prufrock, ragged claws, T. S. Eliot. Bookmark the permalink. 12 Responses to He’s ba-ack! 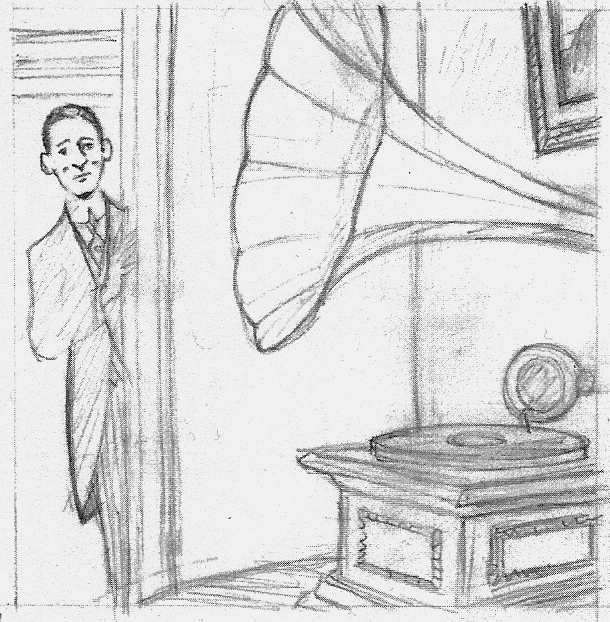 New “Prufrock” pages coming soon! Thanks Arlene! I can’t wait either, I must confess. what kind of publishers are you looking for? Well, ideally a major comics or literary publisher. Would you mind if i talked to some publishers on your behalf? A small press. I would eventually have to consult my agent, but absolutely, I’d be grateful to you for getting the word out!